A1 Overseas International ships to Burkina Faso! Call 1-800-450-5319 or fill out our form for a FREE quote! Overseas international auto transportation is more commonly used than you would think. Traveling overseas without a personal vehicle is more common when people do not plan to stay in another country for to long, but If your plans are to relocate to Burkina Faso for work or study, having your own vehicle would be more practical. 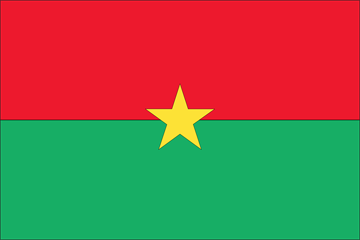 Call A1 Overseas International and let them help you make transition into Burkina Faso. There are three types of overseas auto shipping available. Only a small percentage of overseas travelers wish to have their vehicle imported by plane, but this method of shipping can be arranged if requested. Usually, people will take advantage of either container shipping or the roll on roll off method. If you have additional cargo, you can also have that shipped with your car via container. Container Shipping- Even though regulations for this method of shipping do not require much preparation, always document the condition of everything you plan on shipping in a container. Typically, a ship will export your vehicle and deliver it to a port off the cost of whatever country you are traveling to. Considering that Burkina Faso is a landlocked country, there are no seaports. You will need to arrange for a ride to the port prior to entering Burkina Faso. It is also possible to have a cosigner bring your vehicle to you if traveling to the destination port is not something you wish to do. A1 overseas International will be able to give you a quote over the phone in just a few minutes. Be ready to answer questions concerning the condition of your vehicle and any other questions pertaining to the vehicle you plan of shipping. A1 Overseas International will need to get a lot of information regarding the vehicle in order avoid legal issues. Contact 1-800-450-5319 or fill out our form for a FREE price quote on boat, motorcycle and car shipping!